Yesterday Disney CEO Bob Iger said the owners of Hulu are “committed to selling” the streaming video service. Then Hulu CEO Jason Kilar took to Hulu’s blog to address, well, not much at all. Yesterday Disney CEO Bob Iger said the owners of Hulu, which include NBCUniversal and News Corp., are “committed to selling” the streaming video service. His comments add weight to recent reports that Hulu’s board has been considering a sale, and that a long list of potential buyers (Yahoo, Google, Microsoft, Amazon, Verizon, and AT&T) are interested in scooping up the company. Following Iger’s comments, Hulu CEO Jason Kilar took to Hulu’s blog to address, well, really not much at all. In a business-as-usual blog post, Kilar focuses on Hulu’s successes: its user growth, revenue potential, consumer value, content library, and reach. The update can be read in one of two ways. First, with so many companies rumored to be interested in acquiring the service, the post could be seen as a report card touting Hulu’s worth and potential–it feels like a bulleted PowerPoint presentation meant for an investor retreat. Oppositely, the post could be read in a negative light, giving some indication as to why Iger is so adamant about selling the service. In other words, if the numbers Kilar cites in his post are meant to impress potential buyers, why are they not sufficient enough for Hulu’s current owners? For comparison, Netflix, no doubt a much larger company, added roughly 7.7 million subscribers last year, a third of which signed up for Netflix’s streaming-only plan, a service that many saw as a response to Hulu Plus. That’s roughly triple the amount of subscribers that Hulu Plus has nabbed. But for a more apples-to-apples comparison, just look to Netflix’s success in Canada. In just 7 months since it launched there, Netflix has gained 800,000 subscribers–roughly the same as Hulu’s membership totals, but in a much smaller marketplace. Another issue is Hulu’s freemium-to-premium business model. 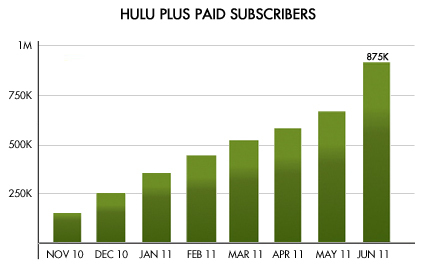 Numbers vary, but a recent comScore report pegged Hulu’s unique users at 28.5 million, which means that in the 7.5 months since Hulu Plus began, the company is operating at roughly a 3% freemium-to-premium conversion rate. How does that compare to Netflix? The company offers trials memberships–roughly 8.7% of Netflix’s members are free subscribers–and there’s a reason why: According to Merriman Capital analyst Eric Wold, who has been tracking trial-to-membership conversions for Netflix over the past eight years, Netflix is operating at an astounding 93% conversion rate. What’s more, Hulu’s model depends on ad support. 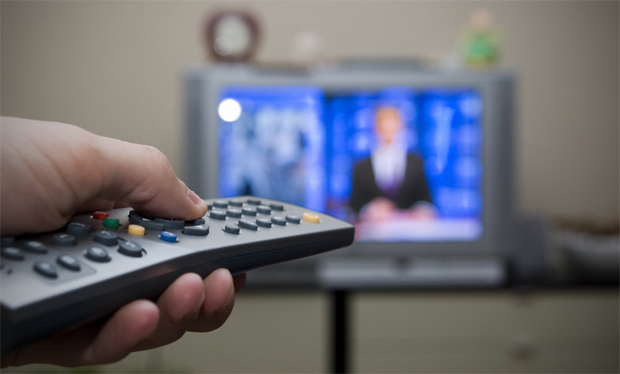 “Today, we proudly and profitably pay the content community approximately $8 per subscriber per month for the content offering you see today on Hulu Plus,” writes Kilar. “A portion of the $8 payment to the content community comes from our $7.99 subscription fee; the balance comes from the revenue we generate through advertising.” Netflix, conversely, operates profitably without advertisements. Still, while Disney’s Iger might be committed to selling the service, we shouldn’t necessarily infer Hulu has hit some sort of dead end in terms of potential. Indeed, Kilar has always been at odds with Hulu’s owners, even threatening to quit over disagreements negotiating Hulu Plus’s pricing. And it’s likely interested third parties such as Google and Yahoo see larger potential in Hulu because of the reach and leverage of their platforms. Plus, with the company expected to hit $500 million in revenue this year, as Kilar says, Hulu ain’t a bad bet to make at all.